As the Design Trust for Public Space officially celebrates its 20th anniversary with a platinum anniversary party at Christie’s on October 14th, we also want to celebrate all that this incredible non-profit has done to improve the experiences of New York City’s public spaces for all of its residents. 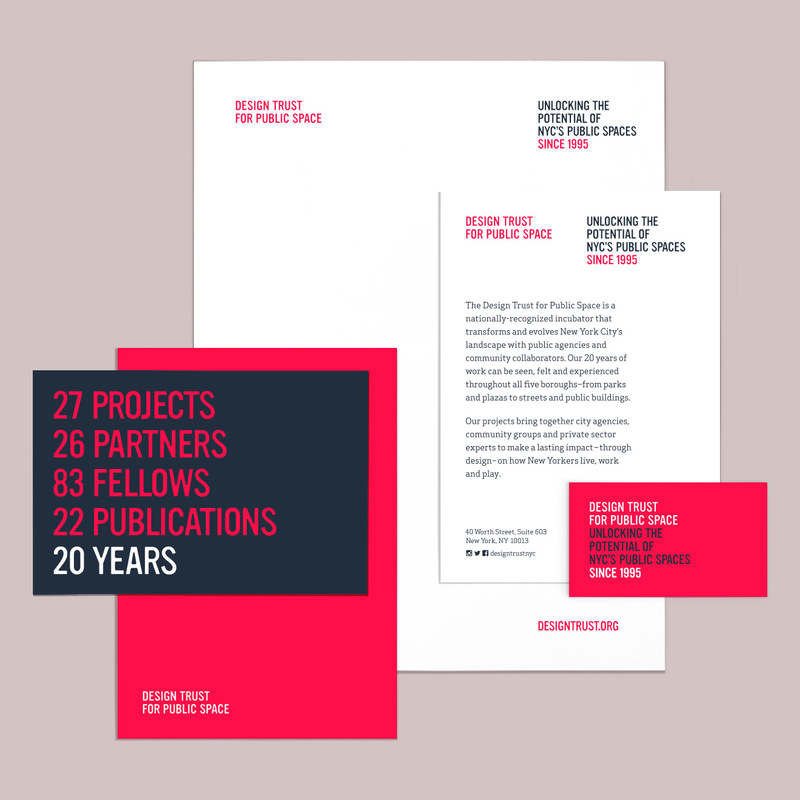 It was our honor to design the organization’s brand new website a year and a half ago and just this past summer we were able to extend our work on the Design Trust’s digital presence to a comprehensive new system of printed stationery, promotional materials and presentation templates. Happy anniversary, and happy new face, Design Trust!